Cathay Pacific’s Asia Miles program is often skipped over by people learning about the best ways to redeem miles for flights. 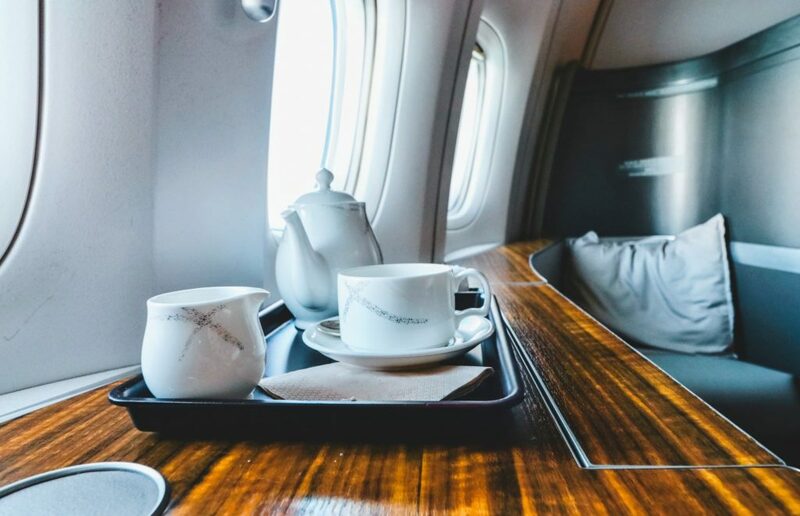 Don’t make this mistake as you would miss some great ways to use Asia Miles for flights on Cathay Pacific and its partners. Since Asia Miles has several distance-based award charts, we’re going to take a look at some brilliant ways to book Cathay Pacific flights as well as some Oneworld partners. If you want to know more about the ins and outs of booking flights with Asia Miles, check out our complete guide. Finally, as you look at these options, keep in mind that you can transfer Amex Membership Rewards points, Citi ThankYou Points and Capital One miles to Asia Miles. With this in mind, you can see why using Asia Miles can make sense even if other programs sometimes require fewer miles for the same flight. Let’s start off with some flights on Cathay Pacific. From non-stops to stopovers to fifth freedom flights, there are some fun options to book with Asia Miles. Let’s start with something basic. You can fly first class from LAX to Hong Kong for 110,000 Asia Miles. This is the exact same number of miles you’d need if you were to redeem American AAdvantage miles for the same flight. Similarly, both Cathay Pacific and America require the same number of miles for a business class award ticket on this route at 70,000 miles. While you could use 70,000 and 50,000 Alaska miles for first and business class, respectively, they’re not as easy to earn as Asia Miles. You can buy Alaska miles but you might as well save that for a time when you don’t have the necessary points already. You can get also book with the same number of miles from San Francisco and Seattle. The Cathay flight from Seattle does not have first class though. If you’re flying out of New York, you’re going to be in the most expensive award zone on the Asia Miles award chart, but there are some clever ways to do so. Since Asia Miles will let you include a stopover on a one-way award for no extra miles, you can fly Cathay Pacific from New York to Hong Kong, stay a few days –or more– then continue onto to an amazing place such as Sydney. To book first class, you’ll need 125,000 Asia Miles which might be a bit steep but business class is a real sweet spot at 85,000 miles. If Australia isn’t on your list right now, you can stopover in Hong Kong for some amazing food then jet off to Cape Town or Tokyo. Honestly, if you’re already using the miles, why not see two places for the price of one? There’s a reason this made it into our list of best ways to use Amex Membership Rewards points. While you can sometimes find great round-trip business class fare deals from Europe to Hong Kong, sometimes you just need a one-way flight. Asia Miles can be particularly useful in this case as you can book a one-way business class award ticket for only 65,000 Asia Miles. If you want to step up the luxury, you can book first class for 100,000 Asia Miles. If you’re based in Asia or are taking an extended trip to the continent, you might want to top it off with a trip to Australia. For only 45,000 Asia Miles, you can take the nearly 9-hour flight in business class. Sticking with the theme of an extended adventure in Asia, consider jumping up to Tokyo (or Seoul) on Cathay Pacific. For 25,000 Asia Miles, you can enjoy a comfy lie-flat seat on the 4-hour flight. Of course, the business class lounges at HKG are quite nice if you want to get some work done or just get to the airport early so you don’t feel rushed. While we’re massive fans of the ANA Round The World option, sometimes sticking with Star Alliance won’t fit your travel needs. So, if you’re piecing together an around the world trip, take a look at Asia Miles. You can book a business class ticket from Hong Kong to Mumbai (or Delhi) for 25,000 Asia Miles. One of the best ways to fly across North America is to book a flight on Cathay Pacific’s fifth freedom route between New York (JFK) and Vancouver. When you consider that you only need 25,000 Asia Miles to book it, that’s a steal. If you want to stopover in Vancouver on your way to Hong Kong, you can grab a business class seat with 85,000 miles. This is one of our favorite ways to redeem Citi ThankYou Points. Now, if we jump back to the idea of using Asia Miles to fly to Japan and South Korea, here’s a really fun fifth freedom option. Rather than just book a non-stop from Hong Kong to Japan, why not stopover in Taipei on the way. Either way, you need 25,000 Asia Miles for a one-way business class ticket but you get to visit two great cities this way. Finally, with the same 25,000 miles, you can book a one-way business class ticket from Hong Kong to Bangkok with a stopover in Singapore. Considered by many to be the best business class experience in the sky, Qatar Airways’ Qsuites is one you won’t want to miss. Now, we’re guessing most of you will plan to use American miles when you’re ready to book, but don’t sleep on Asia Miles. While Cathay Pacific will require you to pay the steep carrier-imposed surcharges, you have a huge advantage when booking. Rather than waiting until 330 days from departure — when you can book with America, you can book 360 days from departure. From the east coast and Chicago, you’re looking at 75,000 Asia Miles for a one-way Qsuites ticket. From the west coast, Miami, Dallas and Houston, a one-way business class ticket on Qatar Airways is going to run you 90,000 Asia Miles. If you need to make sure you get multiple seats or travel on a particular date, having nearly a month headstart can make the difference. Premium cabin award space on Qantas can be tough to find, but their new business class product on the Boeing 787-9 Dreamliner is worth the hunt. With long, long flights to London and Los Angeles, lying down is really a difference maker. If you want to book from JFK — connecting at LAX — to Brisbane, you’ll need 90,000 miles for a one-way business class award ticket. A business class ticket from London to Perth will also require 90,000 miles. You can book a simple round-trip business class award ticket to Europe with 100,000 Asia Miles if you only fly on one partner such as American Airlines or British Airways. However, if you’d like to see a bit more on an extended trip, you could book a Oneworld multi-carrier award. Cathay Pacific has a separate award chart for these award tickets, but you can fly a total distance of 9,000 miles and still only use 100,000 miles. The difference is that you can include up to 5 stopovers. Now, before you ask, yes surcharges can get steep thanks to British Airways but it still might be worth it to see 5 amazing cities and enjoy business class lounges on your travel days. The total number of flight miles comes to 8,975 miles which just sets you inside of 9,000 miles and allows to book for only 100,000 Asia Miles. All in business class. As we mentioned earlier, Asia Miles doesn’t always win by having the lowest redemption rate. However, when you factor the ease of earning Asia Miles, you really start to see how valuable they are. With Amex Membership Rewards, there are tons of bonus categories spread across several cards (Learn More) from 5X on airfare purchased from airline and 4X at U.S. supermarkets. Business owners can also take part in the fun with a bunch of 4X categories. Of course, both personal and business cards often come with some fun perks such as lounge access. If simplicity is your game, earning Capital One miles (Learn More) is the way to go as you can earn 2X on all purchases with two cards — the Capital One Venture and the Capital One Spark Miles. An option that is often forgotten is Citi ThankYou Points cards. Between the Citi Prestige, the Citi Premier (Learn More) and the Citi Rewards+ Card (Learn More), there are lucrative bonus categories from airfare to gas stations to dining. For those who earn Marriott points through stays or co-branded credit cards (Learn More), you can use them to top off your Asia Miles account. And, finally, Synchrony Bank issues a co-branded Cathay Pacific card that earns Asia Miles directly. When you look at the opportunities to earn Asia Miles and the many ways you can use them, it’s pretty clear that you won’t want to skip past this program without giving it a real look. Now, you just have to decide how you want to leverage one of Cathay’s distance-based award charts to have some fun traveling. AsiaMiles are VERY difficult to redeem on Cathay flights, in any cabin. They tend to release very few award seats on any given flight, so you generally need to book about a year in advance when the open their schedule. BTDT many times SFO => HKG. Not always easy to find award space on Cathay Pacific but they consistently open up biz class space 360 days from departure between the US and HKG. Of course, space starts to get picked up then more space gets released very close to departure. I still find space scattered throughout the year, so that’s where things are tough — but the hunt is part of the fun. I also like that you can waitlist Cathay flights with Asia Miles — I did this a few months before departure on the JFK-YVR route and the space cleared at least a month in advance. No guarantee that works, of course, but it can be useful. Yup, all these “experts” conveniently forget to mention how difficult finding space really is. Sure, you can find space occasionally, but woe be to those who aren’t single, have no fixed hours and think a layover is a ‘benefit’. Frankly, with Singapore and United increasing their flights from the US-Asia, Cathay is no longer a first choice for me. Hey MSer – Thanks for reading!. We certainly don’t expect them to work for everyone at all times. If you need multiple biz class seats, I’d suggest looking at the end of the schedule. Multiple seats are often available. In this case, we were simply showing some aspirational options. I’m sure you’d agree that people need a little fun/inspiration here and there. There’s a time and place for the deep dive into the details. This just wasnt that time. Good stuff, thanks! The hunt is part of the fun. What do prices look like on QR? Thanks, Matt! I guess it would be useful to know the exact award rates. 🙂 Just added that — 75 or 90k (depending on the origin) from the U.S.
1. You can use Asia Miles for redemptions on Gulf Air which presently is the ONLY other way to redeem on Gulf Air other than their own program. 2. It takes forever to transfer from Marriott to Asia Miles. It took me almost 11 weeks and constant badgering to Marriott. Hey Jeff – It’s great that we can use Asia Miles to book Gulf Air and the new 787-9 biz class cabin looks quite nice. Kept the post at 10 options, but Gulf Air would be a fun one if you happen to be flying to/from Bahrain. As to the Marriott transfers, 11 weeks is definitely outside the norm. Must have been super frustrating. Several days – bordering on a week – seems to be quite common. Didn’t know stopovers are allowed for one way awards. Do they limit a maximum stopover and are these only bookable over the phone? Yeah, it’s a nice perk of the program. Helps balance things out when award rates are a bit steeper than American. As long as the date is open on the schedule, I believe you can book it. You will have to book over the phone though. That can require a bit of patience. What about USA->Europe for 50K 1W in business class? 50k on oneworld partners is a solid deal. If you can find award space on AA (hahaha), you won’t get hit with YQ. While Asia Miles will pass on surcharges from BA, the total taxes/fees are lower than if you booked with Avios (and other partners) for some reason. I use ITA Matrix as a guide for taxes/fees. This won’t work with BA flights since Asia Miles doesn’t hit you with the full amount, but it’s a good guide. If you can book the award online, Asia Miles should show you the taxes/fees before you click through to book — so, you won’t need miles in your account to check. If you’re booking a partner that can only be booked over the phone, you’re left with ITA.